Hi! I'm Nancy Scott and if you haven't visited my blog before - Welcome to Masterpiece Quilting! 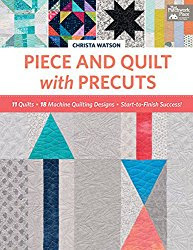 I'm super excited to be part of Christa Watson's Blog Hop to celebrate the release of her new book, Piece and Quilt with Precuts, published by Martingale Publishing. I hope you have been visiting all the blogs this week and seeing the projects everyone is making from the book. 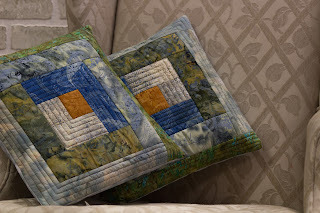 Here is Christa's post with links to all 30 quilters taking part of the blog hop. 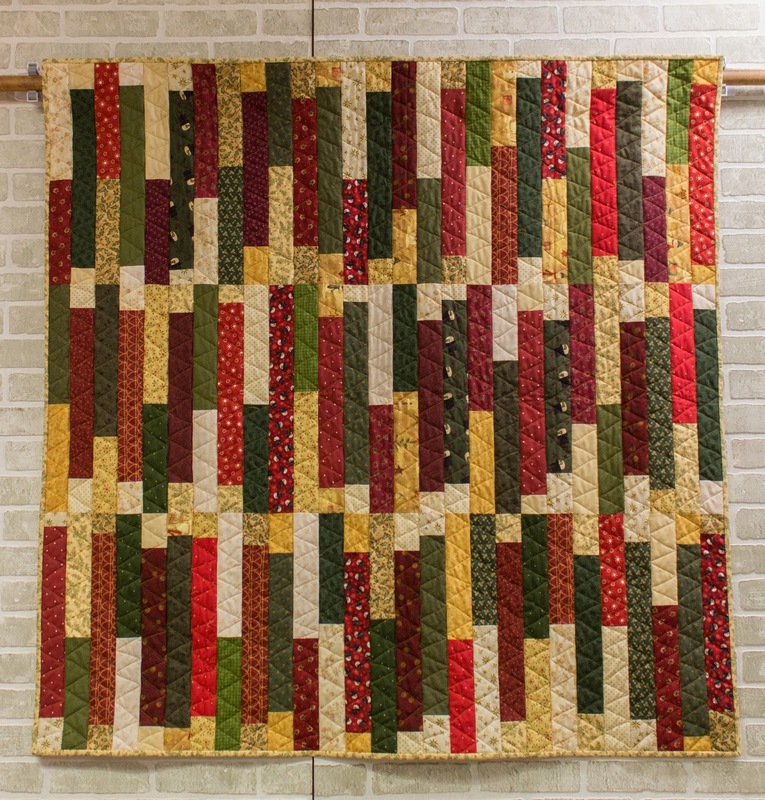 I made Christa's Frequency quilt and I want to take you step-by-step through my process. 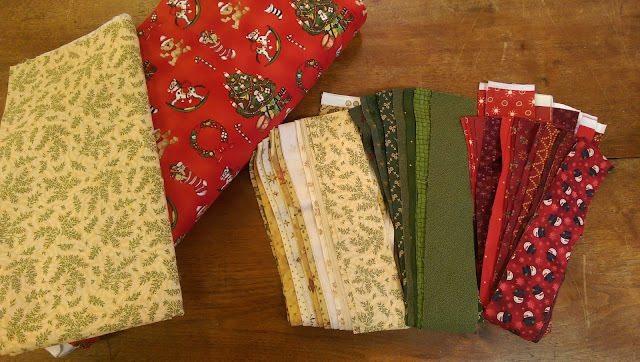 First - fabric selection. Honestly, this was the hardest part! Once I decided on a Christmas theme, it was easy to pull some orphan precut strips along with fabrics from my stash and cut them to size. 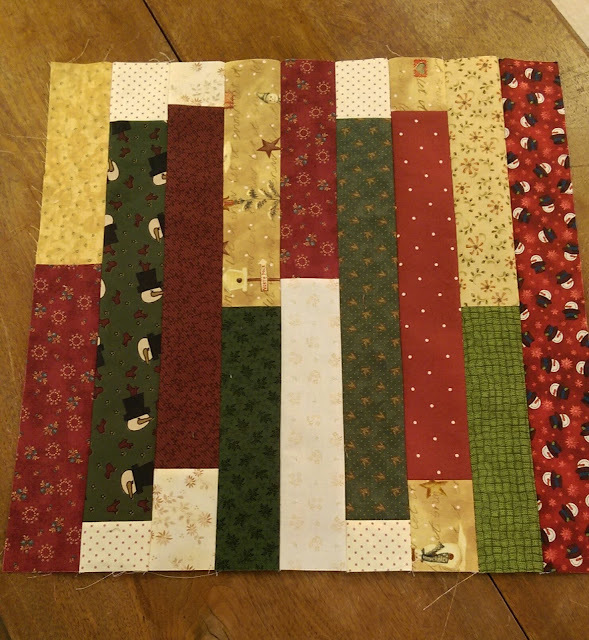 Next was the piecing. 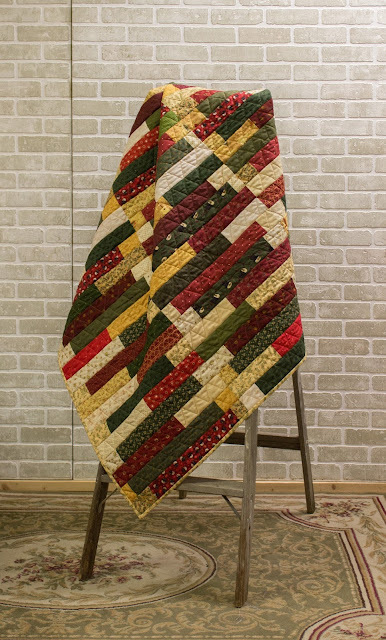 This pattern lends itself to chain piecing so it was super quick and easy to sew together. I tend to be a "planned layout" person, so I just had to take a leap of faith as I was assembling the blocks. I tried to make sure I had my reds, greens and lights distributed well. I was worried about nothing as the blocks looked great with the improv / scrappy look! Next up was the quilting... 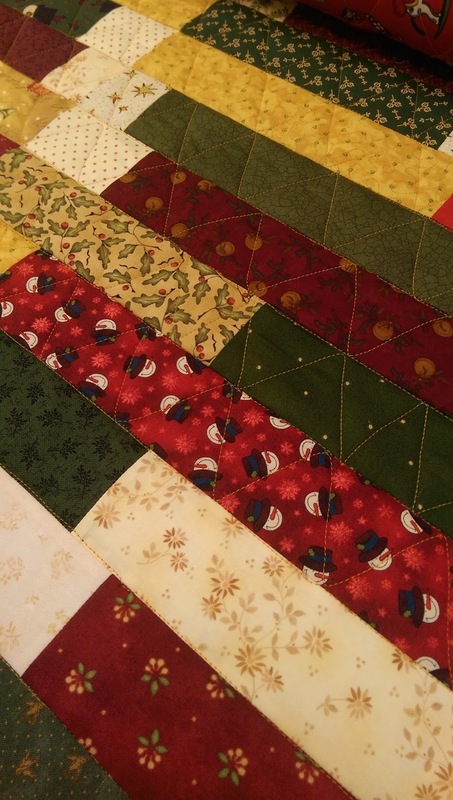 I'm a longarmer and Christa quilts on a domestic machine. 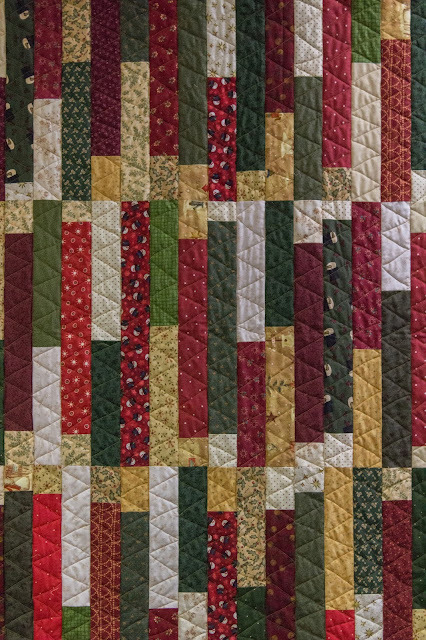 Some people would see that as a divide between us - but not me, I see the fact that we are both QUILTERS - united, not divided. 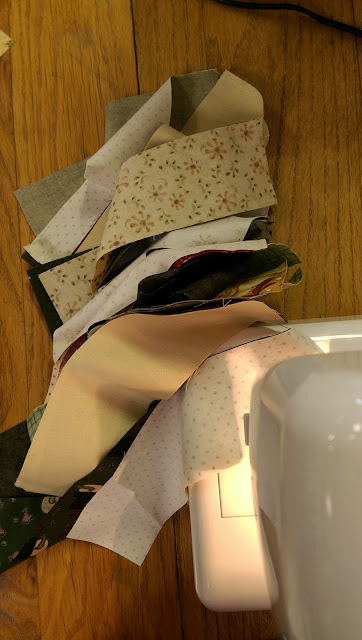 Since Christa includes quilting suggestions and directions in her book for each quilt, I just followed them but executed them on my longarm instead of a domestic machine. Can anyone tell the difference? Probably NOT! So if you are thinking "this books not for me, it's for domestic machine quilters only" - I kindly ask you to reconsider your thinking. Longarmers, shortarmers, midarmers, anyone with a machine on a track system can benefit from the quilting designs in this book. And now the binding... my trusty binding assistant Miss Lilly got into the action - well actually she snoozed thru the action ! 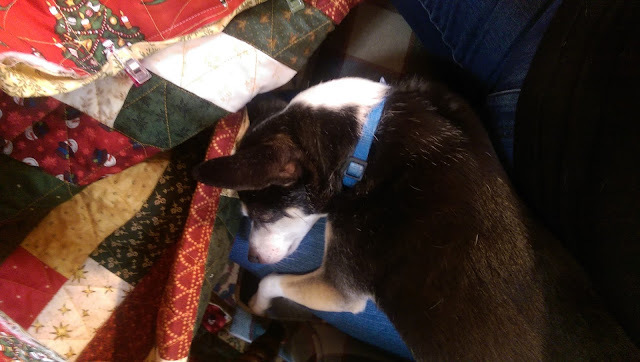 But the quilt does have her "paw of approval"
Without further adieu .... my finished Frequency Quilt! You can order your copy of Piece and Quilt with Precuts here. 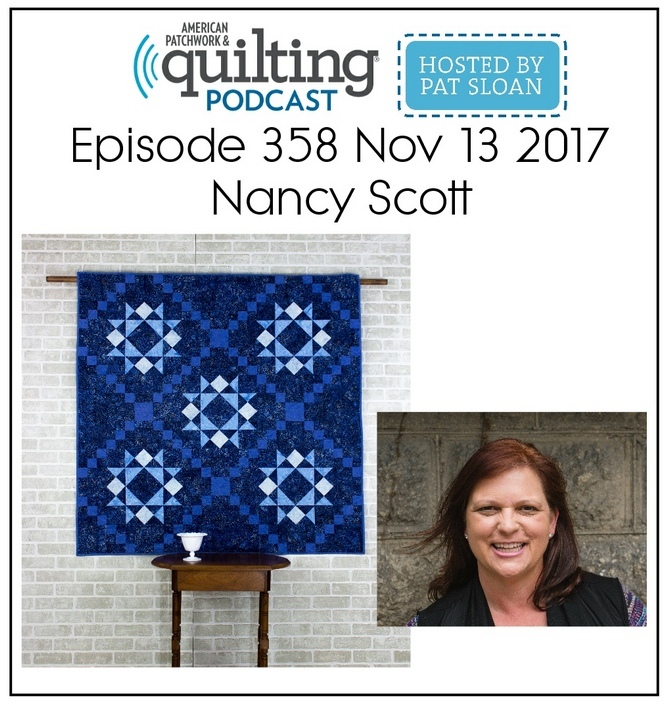 It will be an excellent addition to your quilting library! But as an Island Batik Brand Ambassador, August brings a new challenge. 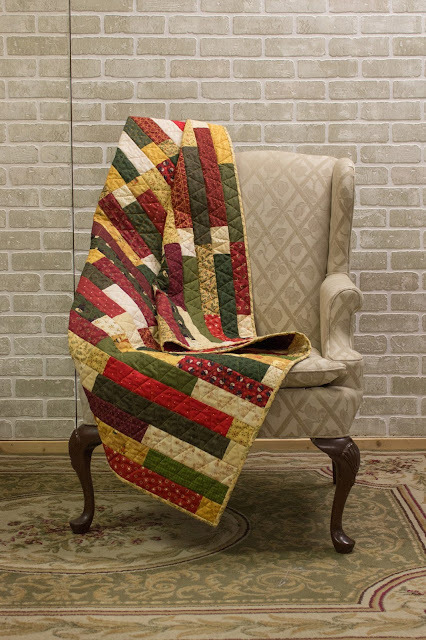 It's Quilt As You Go month! 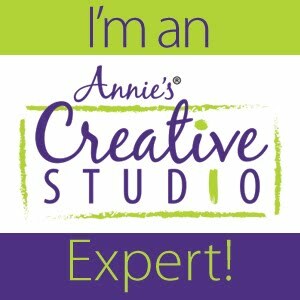 I approached my Quilt As You Go project a little differently than other Ambassadors. As a longarmer, I challenged myself to do my Quilt As You Go project on the longarm. And yes, it can be done! 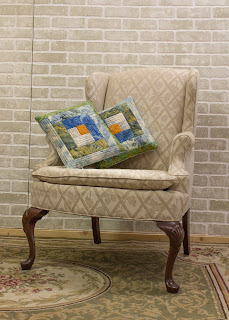 Here are the two luscious pillows I made using my leftover Island Batik Lake Life Collection precut strips. I am absolutely adoring these pillows! Plus they match our couch at home. 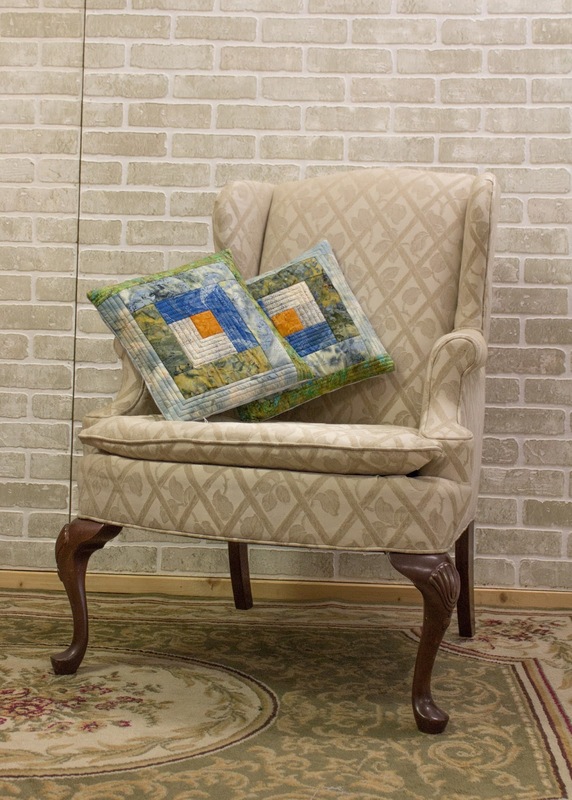 And to make them yourself, I have a FREE pattern available for download on my craftsy page, Quilt As You Go Log Cabin Pillows with materials list, cutting instructions and step-by-step guide. I described my first Island Batik Brand Ambassador box opening as "better than Christmas" so I can't use that again ... but truly, I'm not sure how else to describe it ... Better than Christmas in July !!! Anyway, I could type away all day - but if a picture is worth a 1000 words, then a video is worth a million words. 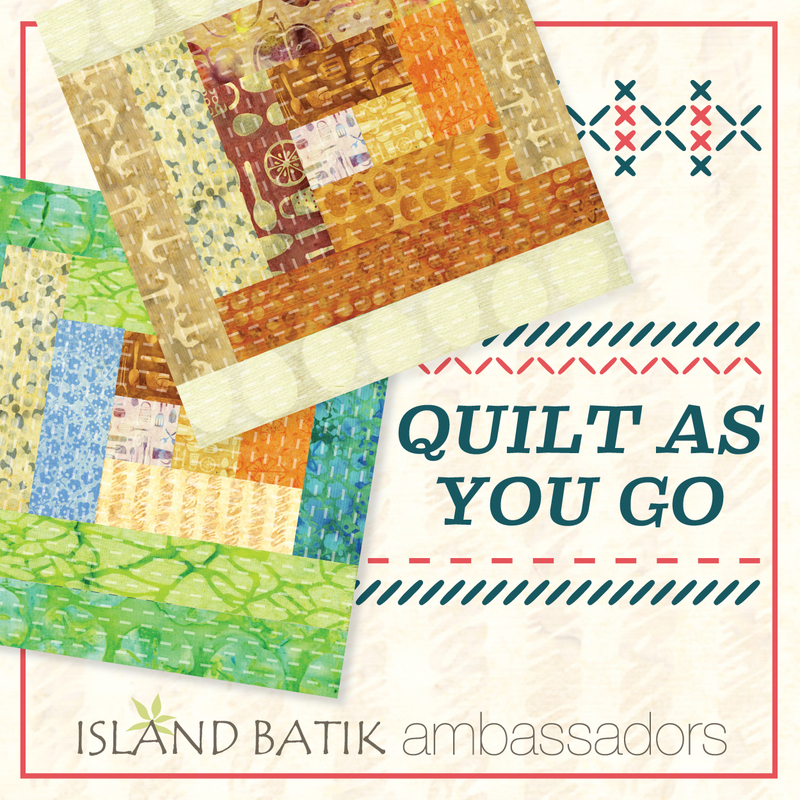 So the best way to share my enthusiasm about the gorgeous new Island Batik fabrics is share my video with you - so click on the link below and enjoy!